Great articles this weekend sharing a generally positive sentiment about UIPs. 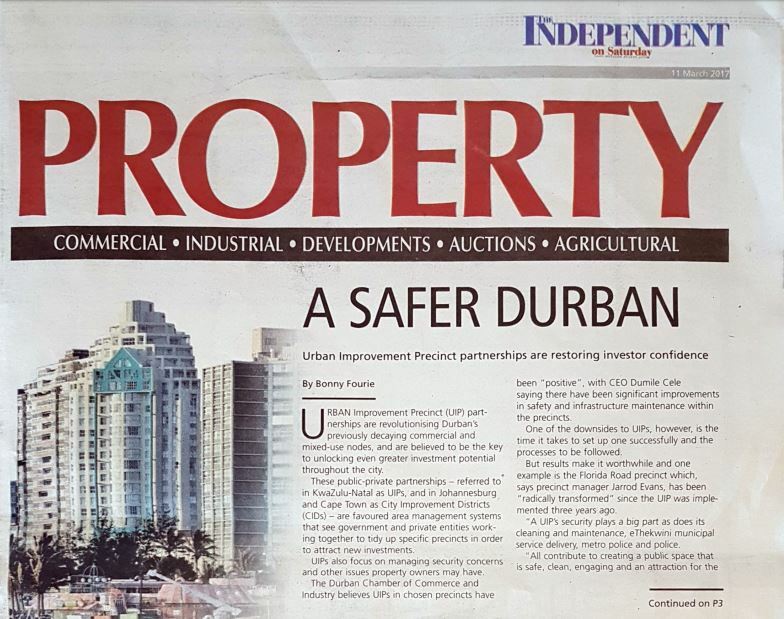 The first was in The Independent On Saturday talking about the role of UIPs in a safer Durban, with comment from the Durban Chamber of Commerce and Industry and the chairman of the uMhlanga Village UIP Frank Reardon – read the article here. The second was in The Sunday Tribune City Watch about the formation of the Pinetown UIP – read the article here.